I got the Cycle Sounds kit for Christmas from my wife and so far I love it. It took me about an hour to install on the bike with the help of my son. 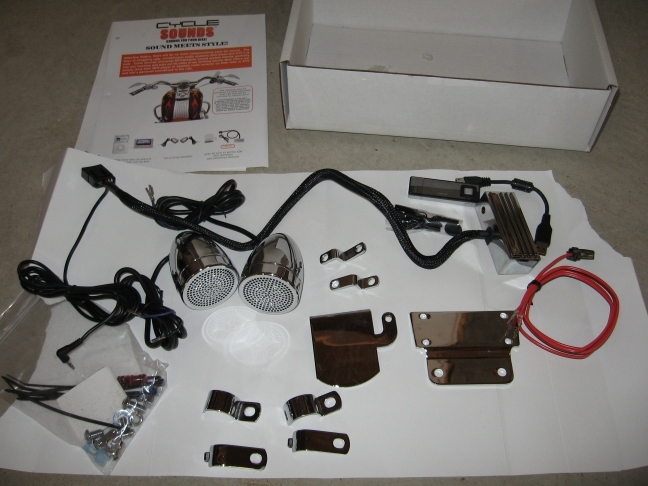 Below is a step by step guide of the installation followed by my opinion of the product. This is a picture of the box. The instructions are on the inside of the box label. They have many different speaker cover options that they sell on their website. They also include a small catalog in the box to find just the ones for you. This is a shot of everything that came in the box. They incude everything you need to install it on many different bikes. 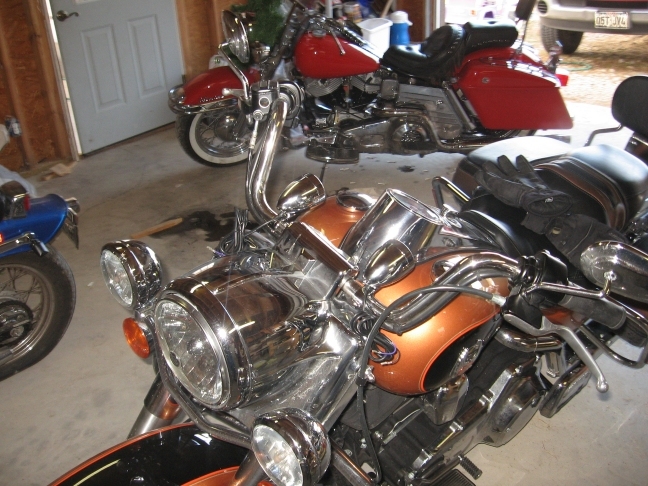 All of the hardware is chromed and it is not the cheap chrome either. The kit looks real nice. 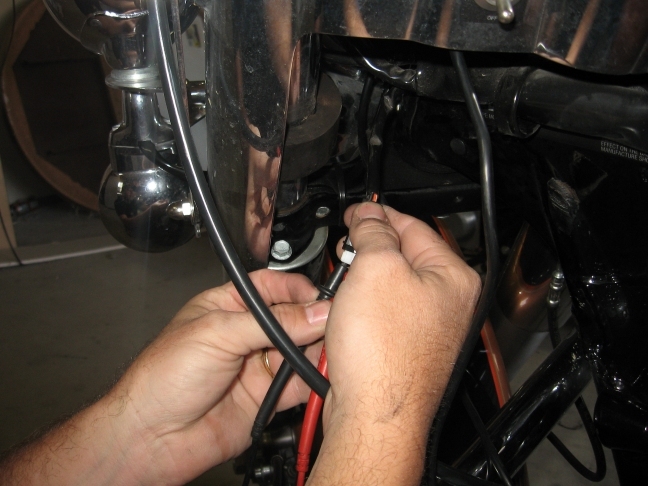 The first thing we did was to attach the amp to the included mount and then attach the mount to the frame of the bike using the included bolts. 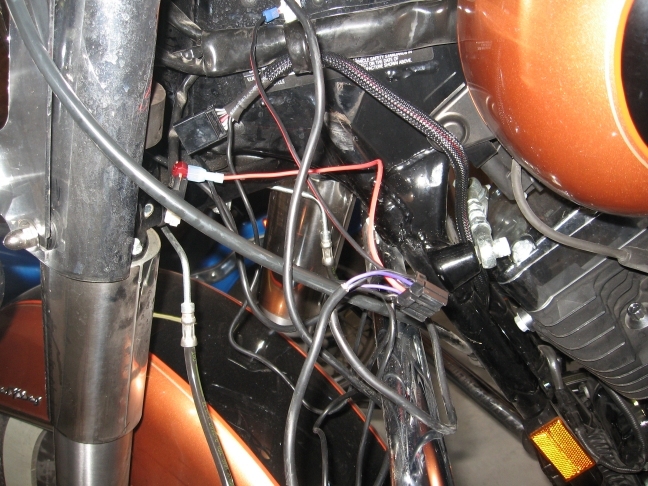 This is a picture of the amp installed on the bike. 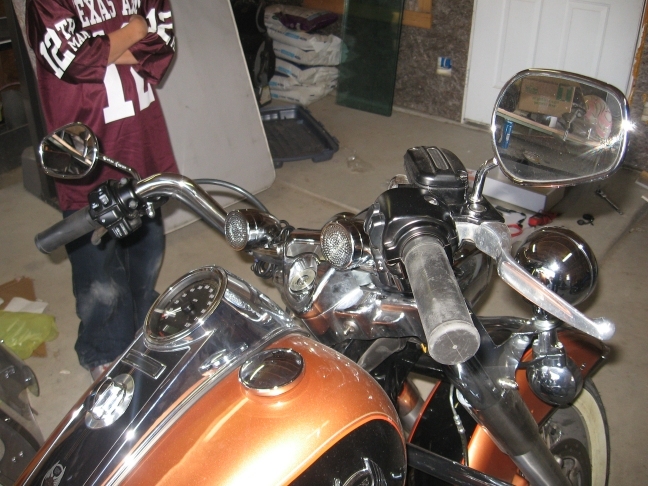 Next we installed the speakers on the handle bars using the included clamps. 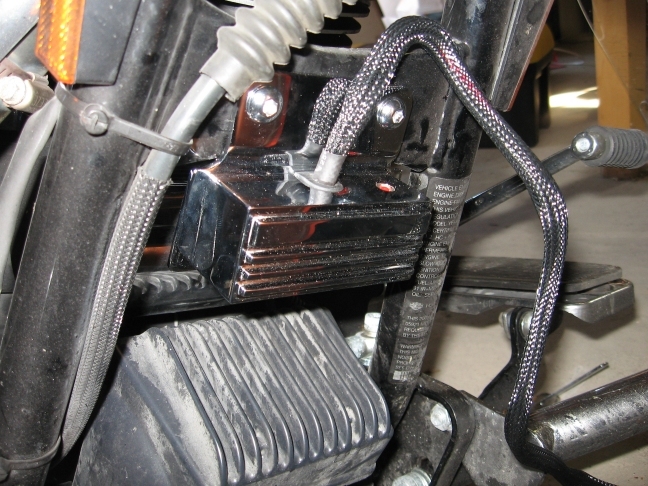 They also include mounts that allow you to mount the speakers to the mirror bolts for Harley's. I chose to mount them close to the risers so the wires would not have to be run to far. Now that we had all the components of the system installed all that was left was to wire it all up. I had an accesorey power point inside the nacelle. I double checked the voltage just to be safe. Here is a shot of everything wired up all that is left is to do is tie up all the wires and try it out. Here it is installed on the bike and ready to go. I put the kit on Christmas day and took it out on a ride to try it out. I can hear the music clearly at 70 MPH on a day with a slight wind. The sound quality is better than I was expecting. The only downside of the kit is that, if you have a passenger they can't hear it all that well. My wife said she could hear some songs but not all. Also when going into a head wind it is not quite loud enough. It is by no means comparable to a fairing system but it is small and looks great on the bike and puts out decent sound....and oh yeah it costs a WHOLE lot less than a full fairing system. 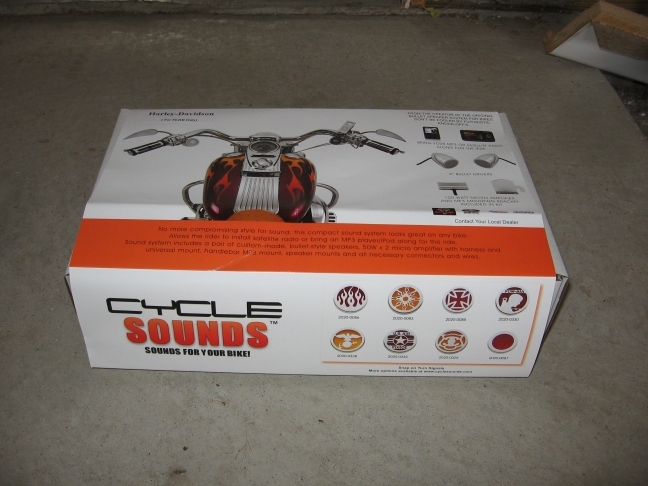 My bottom line is if you want good sound on your bike and are tired of headphones without breaking the bank then this is the kit for you.